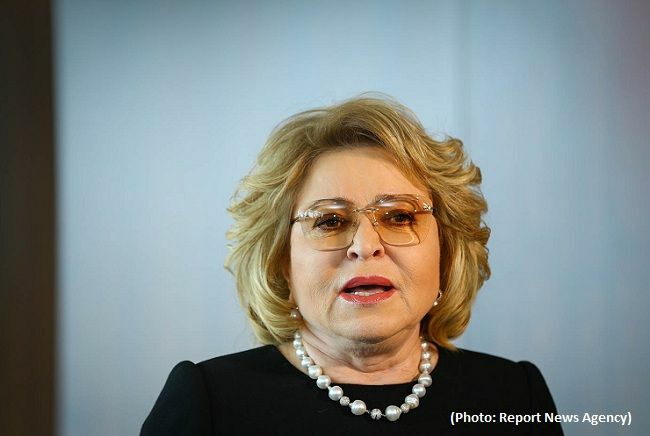 Russian-Azerbaijani relations develop progressively, very dynamically in all areas, Chairwoman of the Russian Federation Council, Valentina Matvienko told journalists in Baku. "President Ilham Aliyev has once again confirmed that Azerbaijan is the most reliable partner of Russia. “I agree with him that all this must be confirmed by deeds," she said, commenting on the meeting with Azerbaijani President Ilham Aliyev. She also stressed that both bilateral relations and international agenda were discussed at the meeting: "The Russian-Azerbaijani relations are developing progressively, very dynamically in all areas. We have achieved good results in expanding our trade and economic cooperation, energy and humanitarian spheres."